What are the stages that healthcare institutions go through to obtain the accreditation? 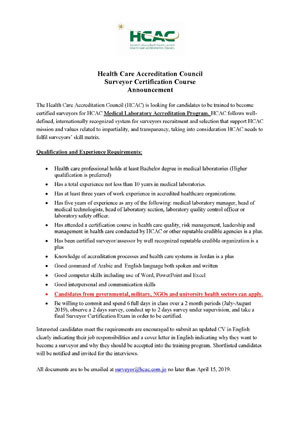 Is it possible for any healthcare institution in Jordan to apply for accreditation? What kind of accreditation decisions are there? How are accreditation decisions reached? How long does it take to reach a decision after the survey? How long does it take to schedule the survey? What is the survey fee? How do I get an accreditation application form? 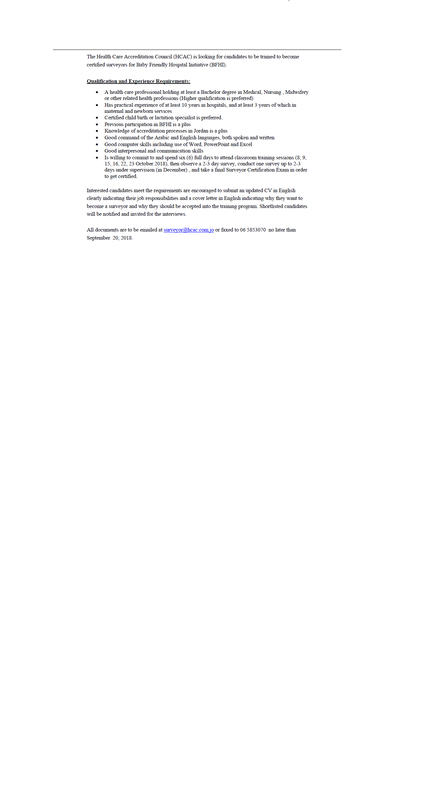 Can we get the standards on HCAC's Website? How do I contact someone from HCAC? What is the Mock Survey? What are Accreditation Preparedness Educational Sessions? How can I choose what educational sessions to go for? Can a healthcare institution apply for accreditation while under construction and/or renovation? 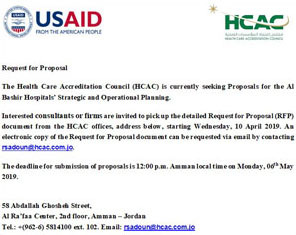 Does HCAC accredit hospitals and health care facilities outside Jordan? How long is a healthcare institution accredited? 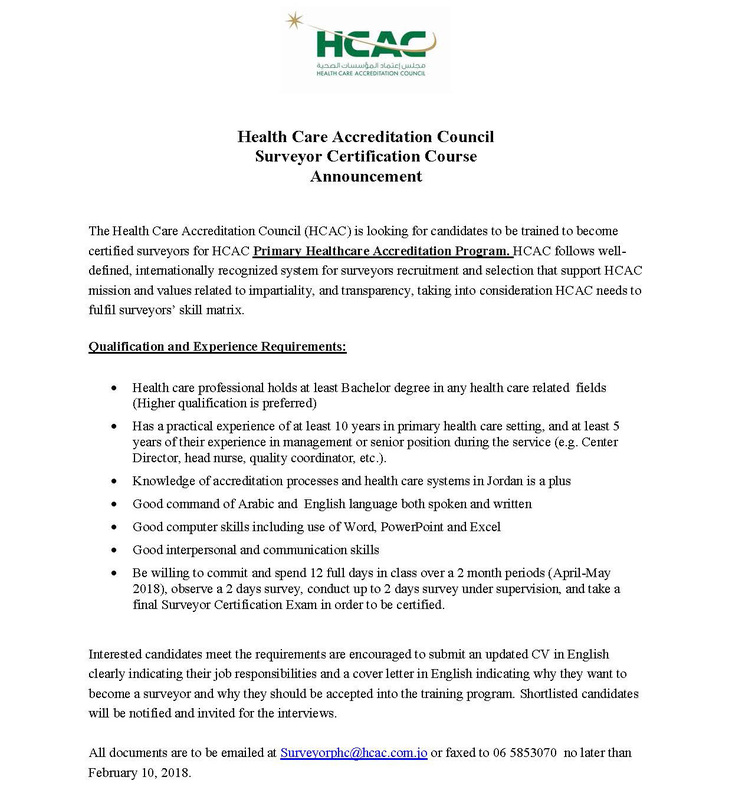 Is HCAC part of Ministry of Health? Is accreditation mandatory for Healthcare institutions? What is a sentinel event? 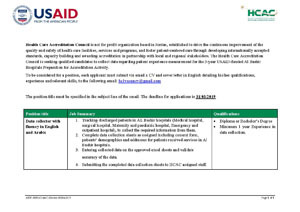 How does HCAC address occurrence of a sentinel event in accredited Healthcare institutions? 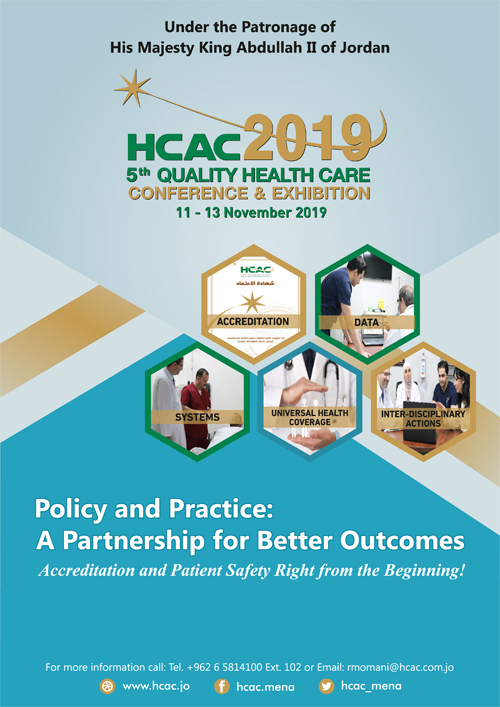 How do I register a complaint against HCAC accredited Healthcare institution? What would happen if the healthcare institution disagreed the accreditation decision? Do you announce the healthcare institutions that were surveyed but not accredited?